Considering you can’t actually swipe your credit or charge card to pay for a car at an authorised dealer in Malaysia, wouldn’t it be nice to take our your mobile phone, and transfer a Bitcoin over to buy a car? Yes, I’m told grey importers/third party resellers do allow you to swipe your purchase away, but let’s not digress. In Malaysia cars are quite costly with excise duties and so on, and Jalopnik once rated Malaysia as number 2 in their list of The Ten Most Expensive Places To Buy A Car. So needless to say this isn’t a common use case as people get hire purchase loans. 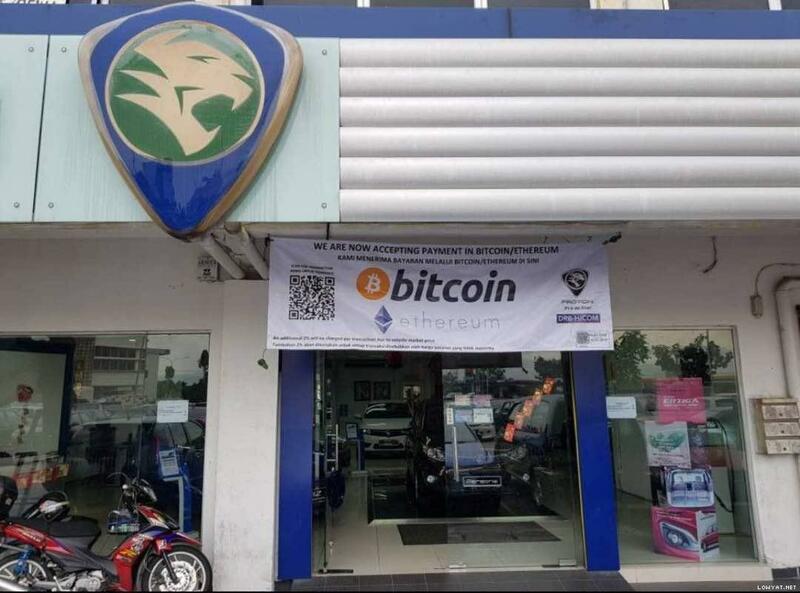 There was one Proton dealer trying to capitalise on Bitcoin and Ethereum recently, out in Seri Kembangan. However it wasn’t long before the dealer was suspended. Pity. Malaysia’s Bank Negara also does not recognise Bitcoin as legal tender (presumably all kinds of cryptocurrencies of course; when they came out with their terse statement, it was just Bitcoin). Presumably Lamborghini dealers out there in the world do accept Bitcoin. Plenty of crypto Lambo memes going around. Previous post: Binance – a unicorn in 6 months?